The BHI Expanded Blowout Bag (BH-MED-03) provides the operator with the essential medical items needed to treat life-threatening injuries sustained in combat, and is packaged in an efficient and effective bag. The nylon pouch was chosen because of a couple of unique and functional features. The tourniquet and an emergency dressing are able to be stored in the quick-to-reach pockets under the front flap (which is secured by two quick-release buckles). 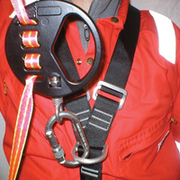 Once unbuckled, the pouch can be removed, if needed, via the hook-and-pile tape backing. 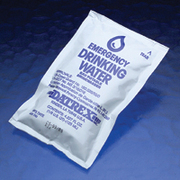 The pouch is secured via MOLLE-type attachments that lock in place with a hardened tab instead of snaps. Tourniquet – This is the quickest and easiest medical device to stop life-threatening bleeding from an extremity. The tourniquet can be applied with one hand if necessary, and is located in a separate pocket for rapid access. Seconds count when blood is pumping out. Emergency Bandage – This dressing is designed to provide pressure and compression to a bleeding wound, replacing the need for Kerlix and an elastic bandage. Applied effectively, the emergency bandage can have a tourniquet-like affect, and stays in place via the locking device. QuikClot Combat Gauze – For bleeding that cannot be stopped with a tourniquet or emergency bandage (femoral artery, abdomen, neck). The gauze is impregnated with a clotting agent to assist in stopping blood flow. Asherman Chest Seal – The ACS seals an open chest wound, such as in gunshot wounds to the chest. The ACS has a one-way valve for releasing blood and air from an open chest injury, and prevents air from entering. Trauma Shears – You have to see it to treat it. Shears are often needed to quickly expose the injury. Nasopharyngeal – Developed to maintain the airway of an unconscious casualty. It will not secure an open airway, but maintains it during movement out of the threat area. Will not result in a potential airway obstruction like the J-tube (oropharyngeal). BHI Multi-Purpose Triangle Bandage – Cravat that can be used for many different purposes. Compressed Gauze – Packing wounds, extra bandage material for pressure dressings.